URGENT: Please pray that the Lord spares the life of Iranian Pastor Youcef Nadarkhani. He’s “the head of a network of Christian house churches in Iran” and “could be executed as soon as midnight Wednesday in Tehran for refusing to recant his religious beliefs and convert to Islam,” according to media reports. Please pray the Lord uses him to encourage Iranian believers and Muslim Background Believers (MBBs) in the Islamic world to stand strong for Jesus Christ. Pray, too, that the gospel message would spread throughout Iran and the epicenter as a result of the international pressure for Pastor Nadarkhani’s release and that many would be saved. 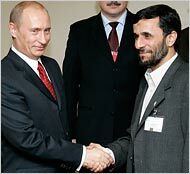 While it is still too early to say such prophecies will be fulfilled soon, the rise of Putin — combined with Russia’s increasingly close ties to Iran, Libya, Turkey, Central Asia and other countries described by Ezekiel — certainly doesn’t bode well for the State of Israel or the Jewish people. 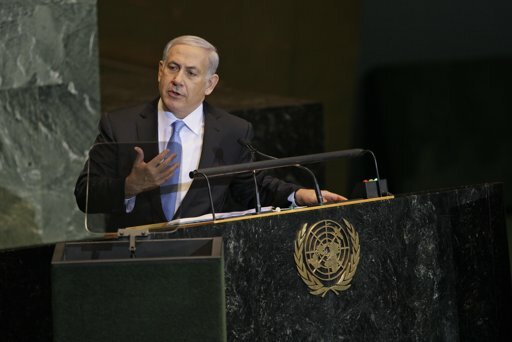 Israeli Prime Minister Benjamin Netanyahu — who decades ago served as his nation’s ambassador to the United Nations — spoke to the General Assembly on Friday and gave one of his most important speeches of his life and in the history of the modern State of Israel. He said he came not to win applause, but to speak the truth. And he did. He spoke the same day that Palestinian Chairman Mahmoud Abbas formally asked the U.N. to unilaterally create a Palestianian state. He spoke one day after Iranian President Mahmoud Ahmadinejad delivered an apocalyptic address to the U.N. calling for the arrival of the Twelfth Imam and viciously denouncing Israel and the United States. Let us pray that many in that hall and around the world have ears to ear, hearts to understand, and the courage to do justice and love mercy according to the Scriptures in these last days. Netanyahu quoted from the Hebrew Prophet Isaiah saying, “‘The people who walk in darkness will see a great light.’ Let that light be the light of peace.” [The verse comes from Isaiah 9, a famous chapter describing the coming of the Messiah]. “Today I hope that the light of truth will shine, if only for a few minutes, in a hall that for too long has been a place of darkness for my country. So as Israel’s prime minister, I didn’t come here to win applause. I came here to speak the truth. The truth is that Israel wants peace. The truth is that I want peace. The truth is that in the Middle East at all times, but especially during these turbulent days, peace must be anchored in security. The truth is that we cannot achieve peace through UN resolutions, but only through direct negotiations between the parties. The truth is that so far the Palestinians have refused to negotiate. The truth is that Israel wants peace with a Palestinian state, but the Palestinians want a state without peace. And the truth is you shouldn’t let that happen. “It was here [at the U.N.] in 1975 that the age-old yearning of my people to restore our national life in our ancient biblical homeland — it was then that this was branded shamefully, as racism. And it was here in 1980, right here, that the historic peace agreement between Israel and Egypt wasn’t praised; it was denounced! And it’s here, year after year that Israel is unjustly singled out for condemnation. It’s singled out for condemnation more often than all the nations of the world combined. Twenty-one out of the 27 General Assembly resolutions condemn Israel – the one true democracy in the Middle East. “The international community must stop Iran before it’s too late. If Iran is not stopped, we will all face the specter of nuclear terrorism, and the Arab Spring could soon become an Iranian winter….The world around Israel is definitely becoming more dangerous. Militant Islam has already taken over Lebanon and Gaza. It’s determined to tear apart the peace treaties between Israel and Egypt and between Israel and Jordan. It’s poisoned many Arab minds against Jews and Israel, against America and the West. It opposes not the policies of Israel but the existence of Israel. “In 2000 Israel made a sweeping peace offer that met virtually all of the Palestinian demands. Arafat rejected it. The Palestinians then launched a terror attack that claimed a thousand Israeli lives. Prime Minister Olmert afterwards made an even more sweeping offer, in 2008. President Abbas didn’t even respond to it. But Israel did more than just make sweeping offers. We actually left territory. We withdrew from Lebanon in 2000 and from every square inch of Gaza in 2005. That didn’t calm the Islamic storm, the militant Islamic storm that threatens us. It only brought the storm closer and made it stronger. “The Jewish state of Israel will always protect the rights of all its minorities, including the more than 1million Arab citizens of Israel. I wish I could say the same thing about a future Palestinian state, for as Palestinian officials made clear the other day – in fact, I think they made it right here in New York — they said the Palestinian state won’t allow any Jews in it. They’ll be Jew-free — Judenrein. That’s ethnic cleansing. There are laws today in Ramallah that make the selling of land to Jews punishable by death. That’s racism. And you know which laws this evokes. To watch Netanyahu’s speech — or read the full text — please click here. To help The Joshua Fund educate and mobilize Christians around the world about God’s love and plan for Israel — and to bless poor and needy Israelis and Palestinians in real and practical ways — please click here. 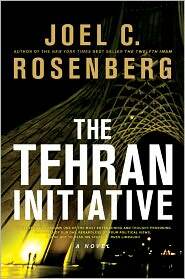 To pre-order The Tehran Initiative, please click here. National Review Online has just posted a longer and more detailed version of my column, “Ahmadinejad’s Apocalyptic Address.” It includes direct quotes from the Iranian leader’s speech, and quotes from an Israeli general warning that the likelihood of an “all out war” in the Middle East is growing. I hope you find it helpful. For past columns of mine on National Review Online, please click here. 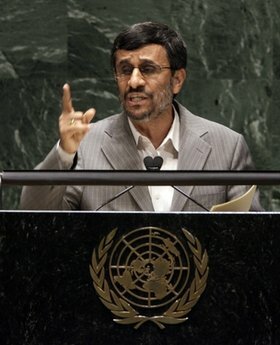 Mahmoud Ahmadinejad is not a world leader worthy of the world stage. He is the evil leader of a Shia Islamic death cult. He is building nuclear weapons. He is calling for the end of the world and the arrival of the Twelfth Imam. He aspires to be a mass murderer beyond the scale of Adolf Hitler. He deserves to be in prison, or an insane asylum, and his speech Thursday before the United Nations General Assembly was further proof, if any more were needed. Did you see Ahmadinejad’s apocalyptic address, or read the full text? You should. It’s instructive. This is exactly why I write books like The Tehran Initiative and The Twelfth Imam. This is why I’m hosting “The Gathering Storm” simulcast on October 22nd — because I’m trying to wake up the American people, trying to get people all over the world to understand just how dangerous this lunatic and his murderous Iranian regime really are and to start praying and fasting and seeking the Lord to bring this Iranian regime down, protect Israel, and give us world leaders who understand the times and know what their countries should do. Yet by and large the world — and even much of the Church — is fast asleep to the gathering storm on the horizon. So what’s the world doing to stop him? Precious little. Yes, some world diplomats walked out of Ahmadinejad’s speech. Big deal. They walked softly, but where is the big stick? Why aren’t they taking decisive action to stop Iran from building, buying or stealing nuclear weapons and the ballistic missile systems to deliver them? Time is running out. Once Iran has the Islamic Bomb, does anyone really believe they won’t use it against the U.S. and Israel, either directly or through terrorist surrogates? Rather than stopping Iran from getting the Bomb, however, the leaders of the world — including our own President — are hyper-focused on pressuring Israel to divide Jerusalem and divide the Land of Israel and create a corrupt and dangerous Palestinian state co-led by the missile-firing Hamas terrorist group. Don’t get me wrong: the Israeli-Palestinian issue is an important one, and it should be treated seriously and carefully. But it’s not the most important issue in the Middle East today. The murderous, apocalyptic Iranian regime and its race for nuclear weapons is Issue #1, 2 and 3. We would be fools not to take decisive action while we still can. My new political thriller, The Tehran Initiative, is about what could happen if the world doesn’t take decisive action soon. What if Iran gets the Bomb? What if Iran’s leaders are about to use nuclear weapons? What if Israel launches a pre-emptive military strike against Iran? What would the world look like, and what would America do? I think such questions make for chilling fiction. Unfortunately, the scenario is all too real. Ahmadinejad’s apocalyptic address just made that abundantly clear. It was his most blistering attack on the U.S., Israel, Europe and the West he’s ever delivered at the United Nations. Every year Ahmadinejad feels more and more emboldened because he says the most evil and sickening things one year but the world takes no action to stop this Farsi-speaking Hitler. Shame on such world leaders. They are leading us down a very dangerous path. Most of the world’s leaders are asleep, even as a new storm is gathering in the Middle East. Inexplicably, the world is hyper-focused on forcing Israel to accept a Palestinian state without negotiations — to divide the land of Israel and divide Jerusalem — even as the Iranians race to build nuclear weapons and prepare for the coming of their so-called messiah, the Twelfth Imam. A new U.N. report shows growing evidence that Iran is working on nuclear weapons. Iranian President Mahmoud Ahmadinejad continues to call for the annihilation of Israel and continues to talk publicly about his incredibly dangerous End of the World theology. Yet most of the world and the media is focused on the showdown between Palestinian Authority chairman Mahmoud Abbas and Israeli Prime Minister Benjamin Netanyahu. 63.5 percent of Americans surveyed approve military action against Iran if sanctions do not stop their nuclear program. “Though both the Bush and Obama administrations have been reticent to consider military options to address the threat posed by Iranian nukes, the American people are prepared to support such action should sanctions fail,” said Secure America Now member Devon Cross, a former Defense Policy Board member and mother of two. Secure America Now is the non-profit organization that commissioned the poll. To read the full poll with many more details and nuances, please click here. Bible prophecy indicates that “all the nations” of the world will be judged for dividing the Land of Israel (see the Book of Joel chapter 3). Senior aides to Israeli Prime Minister Benjamin originally told me the PM was not going to come to the opening session of the United Nations General Assembly this year. But things have changed. Tensions between Israel and the Palestinians, Iran and Turkey are intensifying and Israel is becoming increasingly isolated. Haaretz and Ynet News are now reporting that Netanyahu is coming to New York and will deliver a major address before the U.N. General Assembly next week. [Update: Some reports say the speech will be Wednesday; others say Friday; I’ll keep you posted.] The decision reflects the PM’s desire to personally, directly and very publicly confront the Palestinian effort to unilaterally declare a state and receive a U.N. blessing, rather than engage in direct negotiations with the Jewish State. Netanyahu will also strongly condemn Iran’s bid for nuclear weapons and challenge the world to rein in Iranian President Mahmoud Ahmadinejad, who is also coming to the U.N. next week. The Palestinian Authority this week announced that on Friday, September 23rd it will formally submit its bid for full membership in the United Nations. A General Assembly vote would likely go overwhelmingly in favor of the Palestinians. The U.S., however, has vowed to veto a Palestinian statehood bid if it comes before the U.N. Security Council. 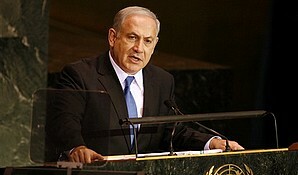 Please pray for wisdom for Israeli leaders, and especially the Prime Minister, as he comes to the U.S. Please pray for the protection of all Israeli diplomats around the world, and especially those in Jordan and Egypt who are under direct threat. Please pray for Christians, too, to show unconditional love and unwavering support for Israel and the Jewish people as Israel is increasingly isolated internationally. Please also pray for tensions between Israel and Turkey to be defused — in the last few weeks, Turkey has broken off diplomatic relations with Israel, kicked out Israel’s ambassador, cut off trade ties with Israel, and now is threatening to send war ships to accompany another flotilla to Gaza. The following is the text of the sermon I delivered Sunday night, September 11th during the “Wake Up Call.” To watch the on-line video of the whole two-hour event, including this message, please click here. Third, God is shaking us because He has a mission for His Church, a mission for each follower of His– good works that He prepared before the world began that we should walk in them – and He doesn’t want us to miss the blessing of serving Him and seeing Him bear fruit through our lives of obedience. Ten years have passed since the horrific terrorist attacks on America by Radical Islamic terrorists. That was a wake up call for our country. But were we listening? Are you morally and spiritually better off ten years after 9/11? Is your family? Is your church? God didn’t cause 9/11 to happen. Fanatics devoted to the false teachings of Radical Islam caused 9/11 to happen. But the True and Living God — the God of the Bible — let it happen to shake America. To get our attention. To wake us up. Were we listening? And where do we go from here? I hope you will join Anne and me for this “Wake Up Call” special event which begins Sunday night, September 11th at 7pm eastern — you can watch it for free on-line by clicking here and walking through the simple steps. On this site, you can also find out where you could watch the event at one more more than 300 churches Sunday night, or listen on one of more than 500 Christian radios that will be simulcasting the event. Or you can watch on satellite TV in anyone of 200 countries, including Israel. Please also be praying for us and for the event and for those who will be watching and listening. Please pray, too, that the Lord would use this event to wake up more of His people to love Him and serve Him ever more faithfully. And please invite family and friends to participate in this event as well. May it be a blessing to them, and to you as well. Thanks so much, and may God bless you. More than ever, Israel needs leaders like the “sons of Issachar, men who understood the times and knew what Israel should do.” (I Chronicles 12:32, NIV) Israel also needs faithful friends who will show unconditional love and unwavering support for the Jewish people, while also showing love and compassion towards the Palestinians. These are increasingly difficult times for Israel, and Christians around the world need to be even more faithful in prayer for peace and more determined to bless Israel and her neighbors in the name of Jesus, as The Joshua Fund seeks to do faithfully every day, with your help. Yet tensions with Turkey are mounting. This week, Turkey expelled Israel’s Ambasador. Yesterday, Turkey cut off all trade ties with Israel. And the Palestinian leadership continues to wage an all-out effort to isolate and delegitimize Israel, while seeking the U.N. General Assembly to vote for unilateral recognition of a Palestinian state later this month. Please continue to pray for the Lord to protect Israel and give her leaders wisdom at this time. Please also consider making a financial contribution to the work of The Joshua Fund as we educate and mobilize Christians around the world to bless Israel and her neighbors, as well as provide humanitarian relief to the poor and needy in the epicenter.